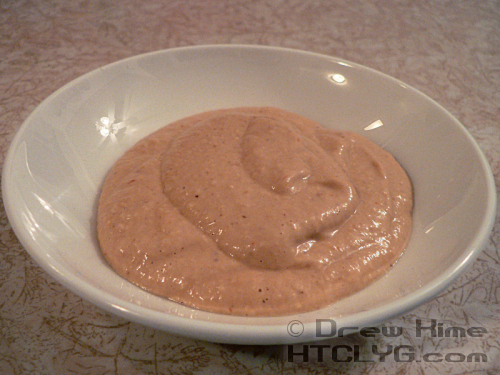 This is based on a Russian dressing recipe. In fact it’s exactly the Russian dressing recipe, except with added horseradish. You can also check out the recipe for onion rings. 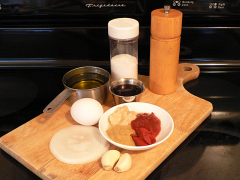 The recipes for the chili sauce and Dijon mustard will be coming soon. This one’s going to be really easy. 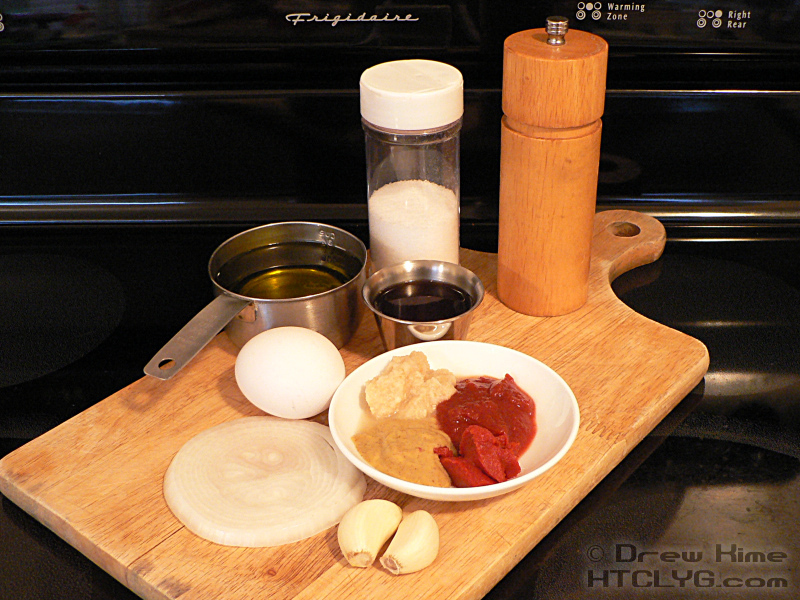 Separate the egg and add the yolk and vinegar to a tall, narrow container. 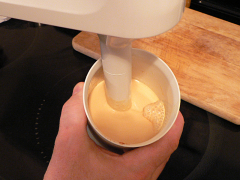 The skinniest one your immersion blender will fit into. (Hopefully yours came with a cup, like mine did.) Blend it until it’s smooth. Add the oil and blend again. Depending on the oil you used, and the speed of your blender, this might turn into mayonnaise. I’ve seen plenty of videos of people doing mayo exactly this way, but mine always stays a bit too thin to be a proper mayo. I suspect it’s because I’m using extra virgin olive oil, but I don’t know for sure. If you’ve got any tips on this one, please share in the comments. Anyway, whether you’ve got mayo or still just a thin sauce, add all the rest of the ingredients and process again until smooth.